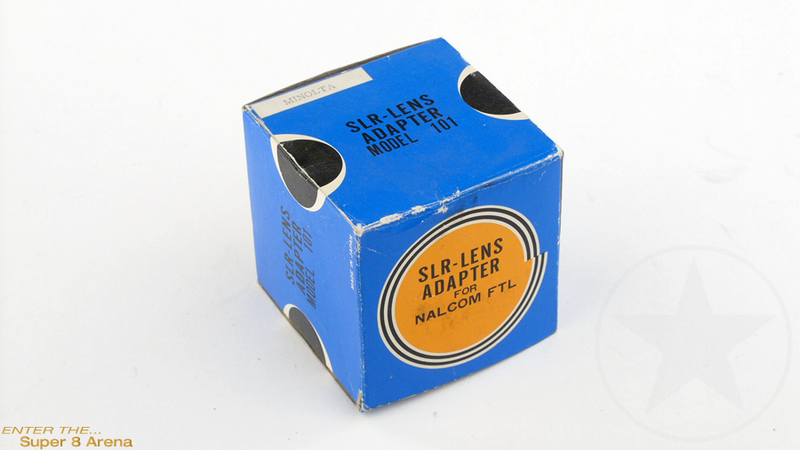 The Nalcom FTL 1000 is one of the few Super 8 mm film cameras which can be used with photo lenses of SLR still cameras with Praktica, Nikon, Minolta, Canon and Konika type mounts and will work on fully automatic EE. This adapter here is for MINOLTA SLR-lenses. The camera on the pictures is not part if this offer.